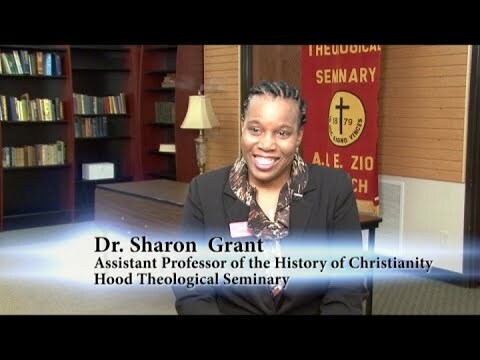 Sharon Grant is an Assistant Professor of the History of Christianity at Hood. Prior to joining the faculty in 2016, Dr. Grant served as Part-Time Faculty in the Department of Religious Studies at The University of the Incarnate Word in San Antonio, Texas. She has also taught D.Min courses in the Wesleyan Studies Program at Colgate Rochester Crozer Seminary in Rochester, New York. Dr. Grant teaches the major required surveys on the History of Christianity and elective courses in the fields of American Religious History, Black Church History and World Religions. In addition, Dr. Grant is involved in the scholarly conversations taking place in the fields of Wesleyan and Methodist Studies. She has participated in the Wesley Studies Group at the American Academy of Religion, and the Summer Wesley Studies Seminar at Duke Divinity School. Dr. Grant’s current research is focused on Wesleyan Studies, Methodist church history, Black Church Studies in the Americas, and rites of Christian initiation. Her published work includes book reviews, and contributions to journals such as, Wesley and Methodist Studies, Methodist History and the AME Review. She has contributed to resources such as the Equipping Global Ministry: Wesleyan Studies Project, a digitally recorded lecture series designed to instruct Methodist clergy all over the world. She is an ordained Itinerant Elder in the Southwest Texas Conference of the African Methodist Episcopal Church.